This week the challenge over at Just Add Ink is 'Butterflies' and I am in awe of the the Design Team this week and their absolute fabulousness! 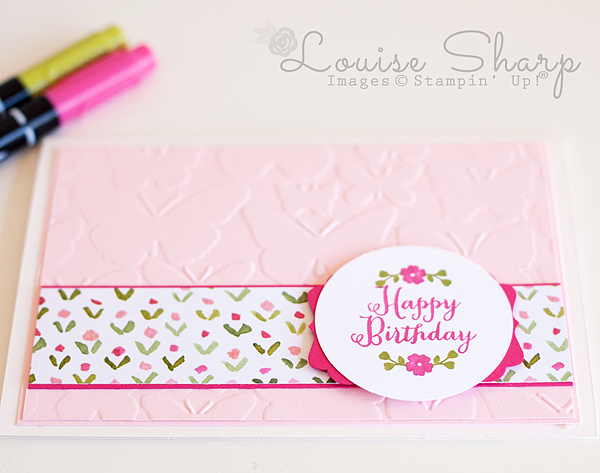 I really wanted to use my new Fluttering Embossing Folder as I just adore it! I know I say the word 'love' a.lot.....what can I say, I'm a 'love' hussy! Hahaha. Don't judge me!!! 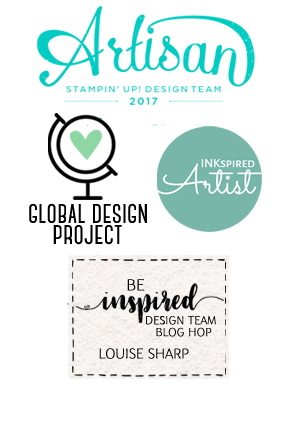 In all seriousness...there are some things I really do 'love' and when I am talking about things from the Stampin' Up! Catalogue ....there is always so many things I 'love'! In my 'love' collection there's a stamp set called Remembering Your Birthday and if you follow by blog you know I have used the 'Happy Birthday' from this set quite a few times! Another 'love' on this card is the new English Garden Designer Series Paper....swoon. 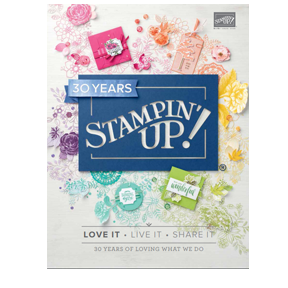 You may need to just get over my 'love' addiction because I have no doubt I will be using it again when the next Stampin' Up! 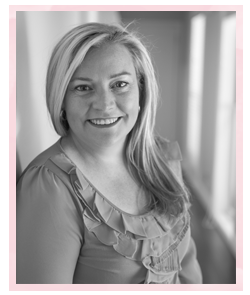 Holiday Catalogue Launches next month....so excited. Stay tuned, that's all I'm sayin'....I'm sure you will drop a 'love' or two for a few things also! Karen ---Beautiful card just like the creator. So much prettiness!! Gorgeous card, Lou. Beautiful - more butterflies any time. Oh this is ultra-lovely Louise! 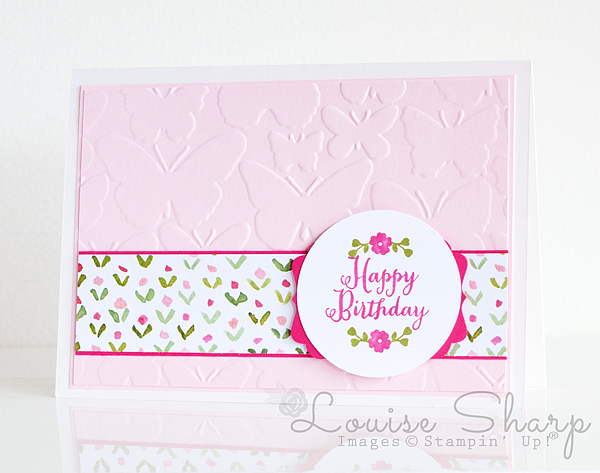 Love how you've used a butterfly embossing folder - subtle and pretty!